ABC has always approached the superhero boom from a weird position. Agent Carter was great, but Agents Of S.H.I.E.L.D. seems like it’s always in danger of being abandoned by the network despite running for much longer than anyone really would’ve expected. Given its close connection to Marvel, regular tie-ins with the MCU should be easy and obvious for ABC, and yet the people who run ABC (and watch ABC, for that matter) just don’t care about superheroes—or they just put money into things that doesn’t deserve it, like Inhumans. 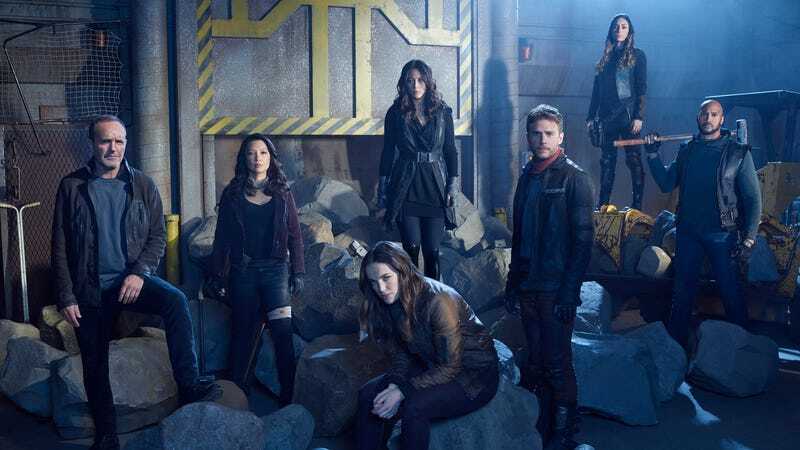 The latest casualty of this apathy is the mysterious female-led Marvel show that ABC was developing back in September with Wonder Woman screenwriter Allan Heinberg. That project is no longer moving forward, without even a pilot being produced. We never found out what the show was going to be about, but it would’ve reportedly focused on a group of women with superpowers who were among Marvel’s “lesser-known” heroes. That comes from Deadline, and it could mean that the reason ABC didn’t want to move forward with the show is that it didn’t have any big name characters to lean on—like, say, Ms. Marvel or the Unbeatable Squirrel Girl, both of whom need to show up in the MCU as soon as possible. Deadline says ABC “wants to stay in the Marvel business,” which seems debatable. Phil Coulson is dead, long live Phil Coulson in the season 6 teaser for Agents Of S.H.I.E.L.D.